HONG KONG, CHINA--(Marketwired - July 22, 2014) - Riding on the Ritz Kids program launched globally among The Ritz-Carlton properties, which aims to delight the youngest guests by creating memories that last well beyond their hotel stays, The Ritz-Carlton, Hong Kong prepares a string of fun-filled activities to engage our precious little ones as they prepare to make a splash this summer. Plan a happy weekend for your princess or prince with culinary classes hosted by celebrated hotel chefs, which encourage children to explore and learn how to make cakes, dim sum, peanut butter cookies or California sushi rolls, followed by a delectable lunch at the hotel restaurant. Saturday Culinary Class includes a cooking class held by the hotel Chef, a chef's hat, an apron and a certificate; The Ritz-Carlton Spa by ESPA spa voucher worth HK$250 and a special gift worth HK$1,000. The father or mother can accompany the child for a lunch buffet experience at Café 103. Additional guests can enjoy lunch buffet priced at HK$500 per adult and HK$300 per child (ages 3 -12). Sunday Culinary Class includes a cooking class held by the renowned hotel Chef, a chef's hat, an apron and a certificate; The Ritz-Carlton Spa by ESPA spa voucher worth HK$250 and a special gift worth HK$1,000. The father or mother can accompany the child for a four-course set lunch at The Lounge & Bar. Additional guests can enjoy four-course set lunch at The Lounge & Bar priced at HK$300 per set. For more information and reservations, please contact Restaurant Reservations at +852 2263-2270 or email restaurantreservation.hk@ritzcarlton.com. *Offer is valid from now until September 1, 2014. Rate is per room/per night, based on single or double occupancy, exclusive of taxes, gratuities, fees and other charges; does not apply to groups; cannot be combined with any other offer and is not applicable for Rewards redemption. Advanced reservations are required. No refund or credit for unused portion. Void where prohibited. Offer is subject to availability and subject to change without prior notice. Daily breakfast is available in selected hotel restaurants and not valid for in-room dining. Destination Experience is per stay and varies by hotel. Additional admission tickets are available for purchase. Ritz Kids Summer Culinary Class is valid for one child per stay, inclusive of lunch for one child and one adult only at Cafe 103 or The Lounge & Bar, subject to class date. Destination Experience (Disneyland theme park tickets) is only available for guests check-in from Sunday to Thursday. 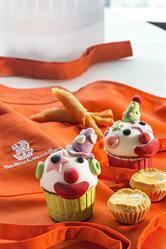 Ritz Kids Summer Culinary Class is only availability for guest check-ins from Friday to Saturday, July 19 to August 31, 2014. Advance confirmations and reservations are required. Culinary Class and Destination Experience are varies by hotel, programme details are subject to change without prior notice. Please check with hotel for confirmation. Occupying floors 102 to 118 of the International Commerce Centre in Kowloon, The Ritz-Carlton, Hong Kong is the highest hotel in the world. The 312 guest rooms all providing spectacular city and harbour views. With six dining venues including state-of-the-art designer Italian restaurant Tosca, Michelin-starred Chinese Restaurant Tin Lung Heen and The Lounge and Bar that serves a signature afternoon tea. The rooftop bar Ozone is a truly stunning venue at 490 meters above sea level. For those wishing to relax and indulge, The Ritz-Carlton Spa by ESPA located on 116th floor features nine deluxe treatment rooms and two couple's suites, re-defining the urban spa experience in the city and across Asia. The hotel features a fully-equipped fitness centre and an indoor pool on the 118th floor with a 28m x 7m LED screen on the ceiling. The hotel also boasts one of the largest ballrooms in the city at 870sqm. Complemented by an additional four meeting rooms, it has fast become the new social centre for Hong Kong and has set the benchmark for events in the region. For more information, please visit www.ritzcarlton.com/hongkong. The Ritz-Carlton, Hong Kong prepares a string of fun-filled activities to engage our precious little ones as they prepare to make a splash this summer.